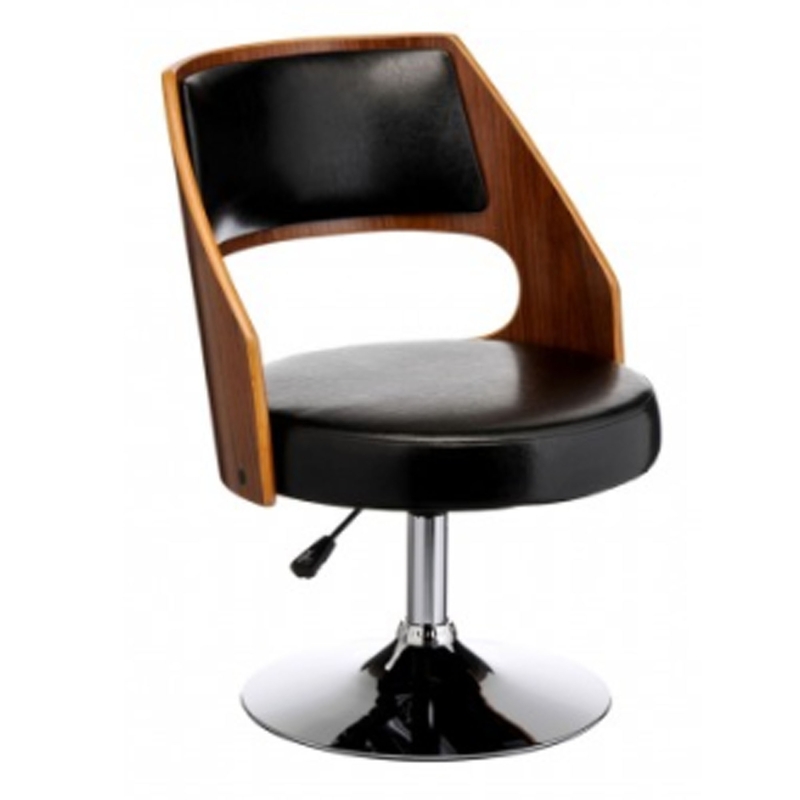 This is a fantastic bar chair with a gorgeous contemporary style. It has a beautiful walnut wood base, with a black leather padded seat. As well as looking amazing, this chair also has a sturdy chrome base, alongside an adjustable seat height.